At 91 years young, Millie Garfield is one of the Internet's oldest bloggers, according to The Ageless Project. 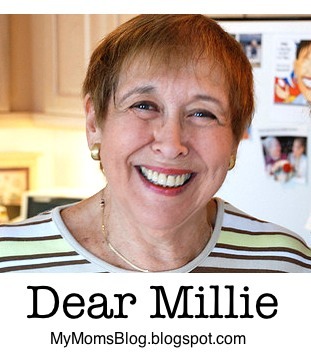 With an authentic and humorous voice, a knack for story telling and frequent updates, Millie's blog, My Mom's Blog, shows that people want to hear from someone with a story to tell. At 89 years young, one of the Internet's oldest bloggers! Get Seen: Online Video Secrets to Building Your Business by Steve Garfield. Join the community. Order. 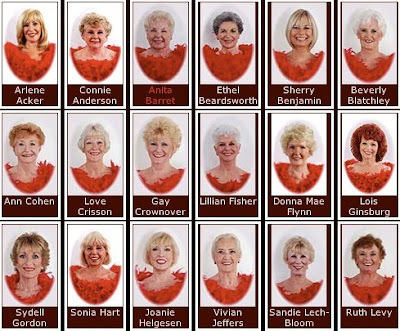 "Millie, 81, gives senior a voice in cyberspace"
"She knows what she's talking about"
"Among the pioneers... of older bloggers." "...brings to mind David Letterman's mother"
"...a rich source of ethnographic data for products and how seniors use them." "...offers her down-to-Earth perspective on life with eye-opening clarity. She is truly a gem." When Millie says, "I can't open it", it's like Donald Trump saying "You're fired." "Her series of videos, "I Can't Open It," ought to be required viewing by any container manufacturer." "One of the Internet’s most seasoned bloggers." Time flies when you are having fun and that's the way it's been this month. It seems that as time goes by, it doesn't walk, it doesn't run, it flies!! After dinner we will be going to a show at the clubhouse. When we purchased the tickets we did not realize that tonight is an exciting night on TV - the Oscars are presented to the outstanding people in the movie industry, and I won't get home until at least 10:00. I'm a movie buff and of all nights not to home to see the show from the beginning is not how I would have planned it. Oh well, I'll be seeing the highlights tomorrow morning on TV. The most recent film I have seen is "Barney's Version" starring Paul Giamatti and Dustin Hoffman, they were both wonderful in their roles. I have followed Dustin's career since he was a young man and to see him in the role of the father of Giamatti bothered me. Paul is in his mid 40's and Dustin is in his mid 70's, so they could be father and son, but I can't think of Dustin that old! What a character Barney was!! He was impulsive, irascible, blunt and adolescent. Not only that, he was a slob!! I couldn't understand what those women saw in him. Minnie Driver and Rosamond Pike were equally outstanding as two of Barney's wives. At times I found the movie very funny and at other time very sad. After seeing a movie like this there's a lot to think and talk about, love it! Have you seen it, what did you think of Barney, his relationships with his wives and the kind of person he was? Finally I don't have to put the heat on in the morning to get the chill out! The temperature has been flirting with 80 degrees, hasn't made it yet but it looks like we might make it this week-end. Pool days are few and far between. One day the sun was shinning, there were a few dark clouds hanging low but I really wanted to take a dip in the pool, so optimist that I am, decided to put my suit on and take my chances. Well, once I got into the water, it started to pour. I quickly got out of the pool and found shelter. Eventually it stopped raining but it still looked threatening. I decided to make a quick get-away - well, the sky opened up and Millie got soaked! All things considered, better than getting stuck in a snow storm!! I had the pleasure of attending an Original Florida Follies show, "Another Op'nin" Another Show" conceived, produced and directed by Cathy Dooley. The cast members are very talented with "show girls" between the ages of 60 to 94!! The costumes were like what you would have seen in a production of the Ziegfeld Follies. One of the outstanding numbers was when the cast presented a tribute to Abba in a medley from "Mamma Mia." Another outstanding number was when they did "A tribute to Michael Jackson - "Beat It"
You had to see it, to believe what these ladies did!!! The new community center in Delray offers many great programs. The one that I am hooked on is "Movies With Roger." This gentleman is a volunteer and shows his personal collection. After the movie is shown he conducts a discussion on the film that was shown. One movie I missed was "Two Family House" I did see that movie in 1999 and wanted to see it again but the capacity of the room is 37 people and it was filled to capacity! Have you heard of, or seen, any of these movies? I recently received an e-mail from a reader who is the devoted daughter of an 85 year old mother who's husband of 60 years is now in a nursing home. The daughter and her sister live nearby and take care of their mother's needs. Their mother is a hoot, they enjoy being with her but would like to see her have some lady friends. They have tried getting their lonely mum involved in various activities but to no avail. She asked for suggestions from me. Your mother is a lucky woman to have two daughters that care for her the way that they do. You say you have suggested things for her to do but she doesn't want to do them. That's the rub - she has to help herself. Maybe you could go with her to some Senior Center or an event at a library, get her to feel comfortable there and then gradually drop her off and see how she manages on her own. Look for some other lady who is there by herself also, someone in the same boat as she is. What interests does she have? Bingo, knitting, current events, books, movies, art, cooking - whatever- something to get her going! That way she might find another lady with the same interest. Now I'm asking Millie's readers for their thoughts. How can the daughters help their mum "get out there" and show the world that "she is a hoot?" Also, if you have any questions, ask away!